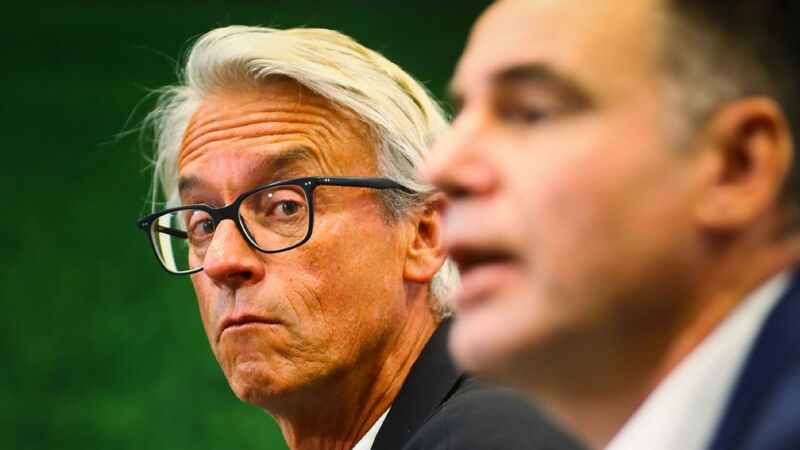 History will be made in the A-League this weekend as Adelaide United and Western Sydney Wanderers contest the Grand Final on Sunday. Neither team has won the championship before, but either would be a worthy winner. At 3-0 down after 23 minutes in their semifinal at home to Brisbane Roar, Western Sydney Wanderers' fans could scarcely believe what they were seeing. Indeed, the same could be said of those on the pitch. 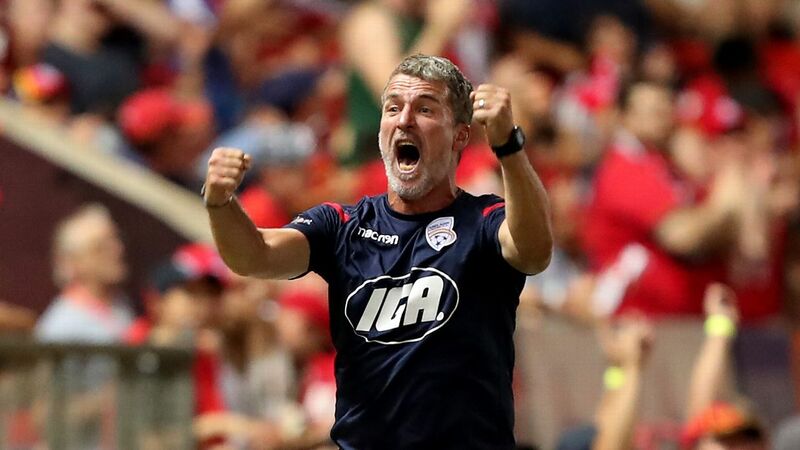 What ensued was a comeback for the ages, as Tony Popovic's men rallied to restore parity in just half an hour. In-form winger Romeo Castelen then sealed his hat trick to put the Wanderers in front for the first time a few minutes later. But that was far from the end of the contest. Brisbane striker Jamie Maclaren levelled matters with just nine minutes remaining on the clock, sending the match into extra-time. Dario Vidosic managed to seal the win during that period, causing the west of Sydney to erupt with joy -- and no short amount of relief. Needless to say, these scenes have resulted in the Wanderers lifting in confidence in the lead-up to this Sunday's decider. In fact, it's hard to imagine a circumstance which could elevate the players' emotions more than their epic semifinal has done. With this emotional high, though, comes the danger of physical exhaustion -- particularly given Adelaide already enjoyed two more days of rest than the Wanderers. 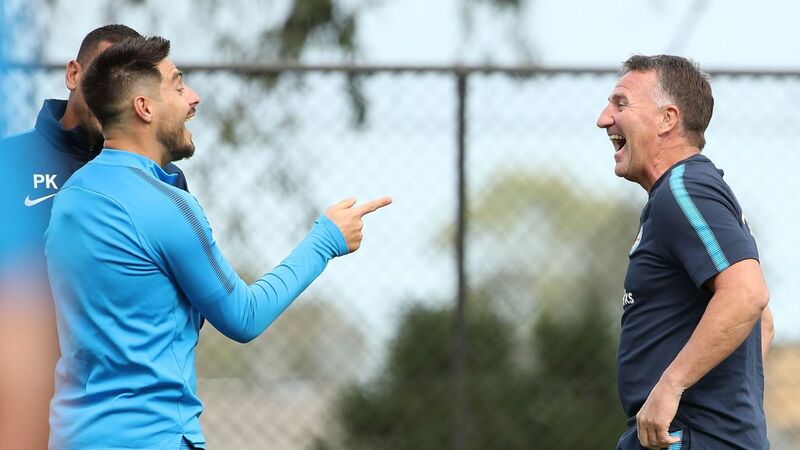 No doubt Popovic will remind his charges of the need to pace themselves early on, but whether enthusiasm gets the better of the players is another matter. Adelaide United will be hoping this is third time lucky as they enter the Grand Final on Sunday. 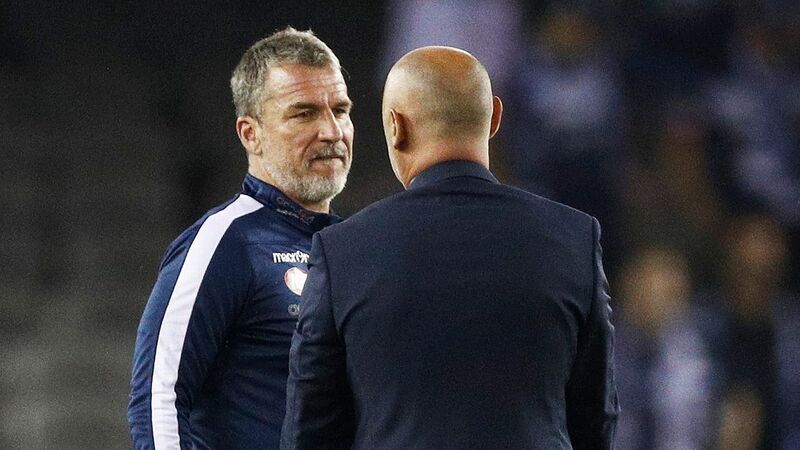 Is this Adelaide United's best chance yet to win an A-League championship? Having won their second regular season title this campaign, the Reds are on the cusp of winning a Grand Final with their third trip to the decider. Few players remain from their previous two Grand Final defeats, but that does not mean this piece of history will not be a factor in their preparations. What will be required from Guillermo Amor's side is a high level of tenacity and energy early on in order to make the most of their physical supremacy. Defensive pressing must begin immediately after possession is lost so as to force the Wanderers into errors. Should that occur, it would be a brave person to back against Amor's men. History beckons for this season's premiers. They are physically and mentally equipped to finally break their Grand Final drought, but a proactive approach will be the key to making their advantage count. Another condition in Adelaide's favour is the home ground advantage -- or is it? This season's decider has been moved from the Reds' usual home of Hindmarsh Stadium to the Adelaide Oval due to capacity reasons. But that doesn't necessarily mean it will work out as a positive for the hosts. A record crowd for football in Adelaide is expected to cram into the venue on Sunday afternoon, but the game will be played just 24 hours after an Australian Rules regular season match. No doubt all fans of the beautiful game are crossing their fingers for a pitch in good condition. Adelaide Oval has also been criticised by in the past as the seating is a long way from the action, which does not lend itself to the usual atmosphere of a football match -- arguably taking away some of the benefit of playing at home. Regardless, the Reds have won four times from seven attempts at Adelaide Oval, and have only lost once in their past 20 games at any venue. Suffice to say Adelaide would still fancy their chances if the Grand Final was to be played in a local car park. Dimas will be at the heart of Western Sydney's midfield alongside Andreu. Isaias, Andreu and Dimas; The tempo of Sunday's decider will be largely determined by this talented trio of Spaniards. 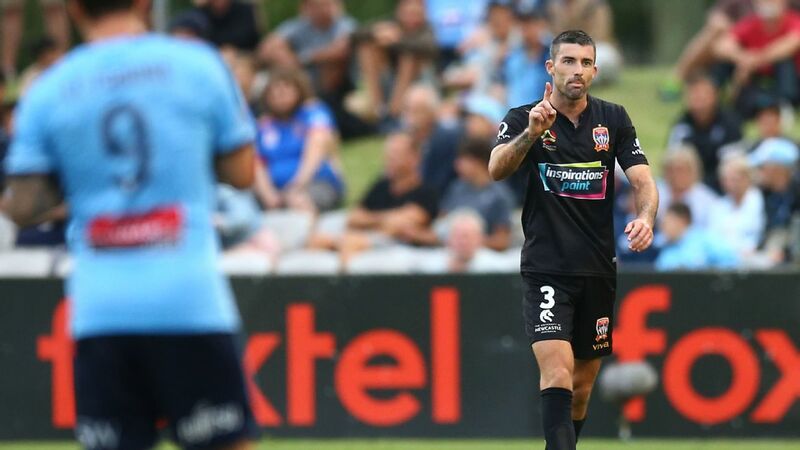 Though Andreu endured a horror start to last week's semifinal -- giving away a penalty and conceding an own goal -- he and Dimas have worked in sublime fashion together at the heart of the Wanderers' midfield all season. 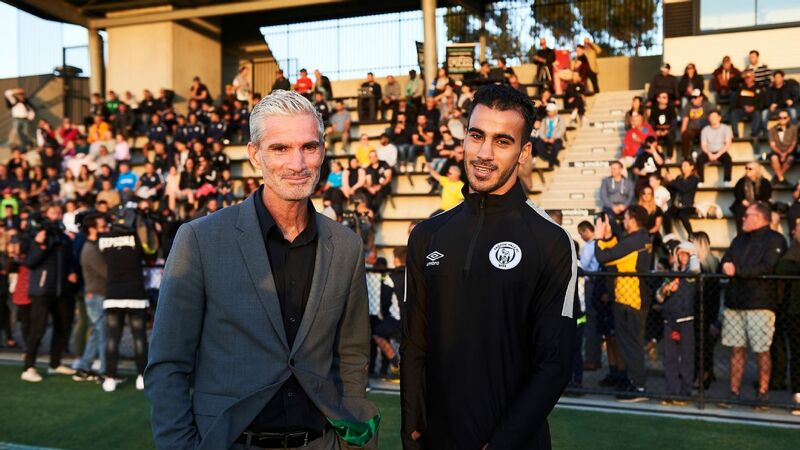 The ability to mix up the range of passing is one of their hallmarks, as seen last Sunday when Dimas played a delightful ball over the top to Brendan Santalab from Western Sydney's second goal. For Adelaide, Isaias also gets on the ball with great regularity in the middle of the field, generally linking up the defence with attacking players such as countrymen Sergio Cirio and Pablo Sanchez. 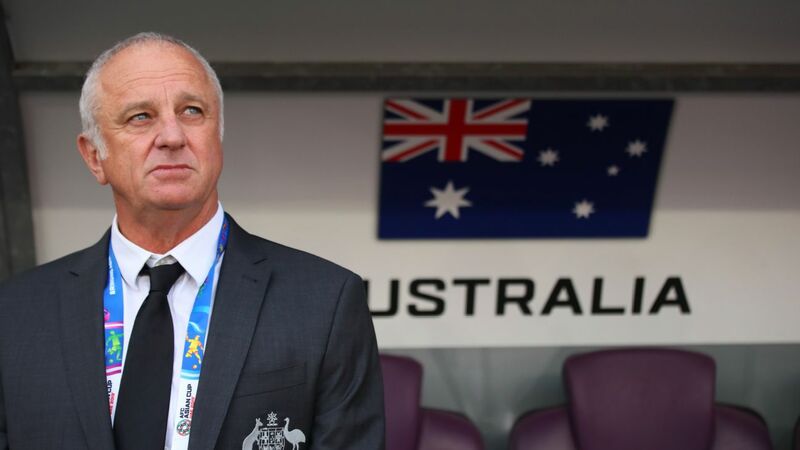 Indeed, it is difficult to remember a season in which players from another country have influenced the A-League to the extent that Spaniards have this term. Testament to this is that the best of them all, Brisbane's Corona, will be watching from the stands as his compatriots do battle. When this season started out, it seemed that goals for Adelaide and Western Sydney would come from target men Eli Babalj and Federico Piovacarri respectively. Neither will play in Sunday's Grand Final. 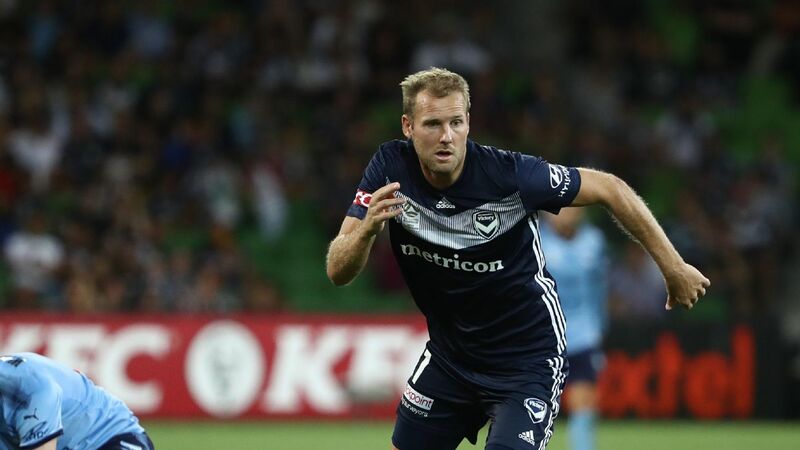 Though injury and patchy form have ruled the duo out, an improbable couple of players have filled the void in terms of goals, particularly in recent weeks. Bruce Djite went 23 matches -- or 336 days -- without scoring for Adelaide before he netted a penalty against Brisbane Roar on January 22. Since then, the striker has rediscovered his goal-scoring touch, hitting the target 11 times in the ensuing 13 games. It's been a similar rise for Western Sydney's Brendan Santalab. 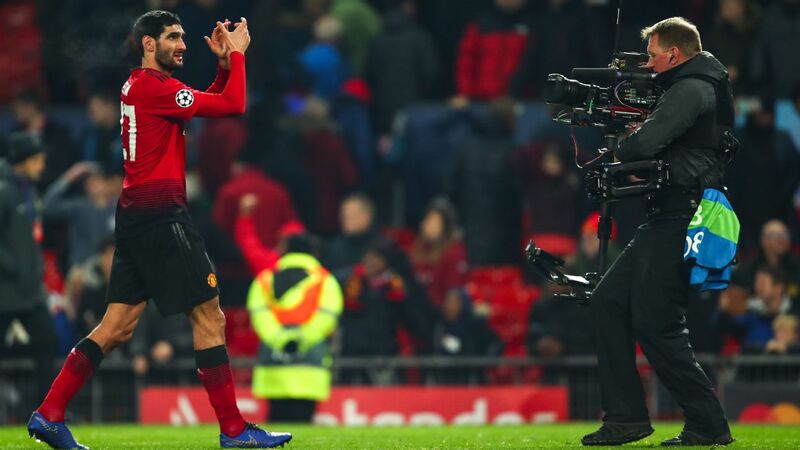 Once thought of as merely a productive substitute, the 33-year-old has started to fire from the opening whistle, subsequently scoring five goals in his past three games. Whilst it would have come as a shock a few short months ago to learn that Djite and Santalab could be so decisive in the Grand Final, so too would the very appearance of Adelaide and Western Sydney in this match. It is fitting, then, that the outcome of this unpredictable season may be determined by the boot of one of these reborn players.